ETC’s Cylindrical Multiplace Chambers are are the latest in a line of Multiplace Chambers and utilize state-of-the-art advanced technology to ensure a powerfully effective experience for clinicians and patients alike. As a key leader in the industry, ETC has set the high benchmark for client and patient satisfaction as well as for ethical business practice and treatment. 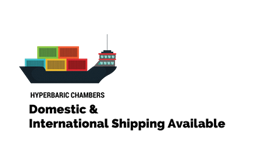 ETC’s Multiplace Chambers stand out for their ease of use and efficient control levels which meet or exceed the design and fabrication standards set for hyperbaric chambers and subsystems. These system’s features create the best possible hyperbaric oxygen treatment experience for patients and clinicians alike. Chamber operators can focus on patient care rather than focusing solely on data tracking and logging. The system monitors humidity, temperature, carbon dioxide and oxygen levels in the chamber to ensure that patients are secure and relaxed for their treatments. 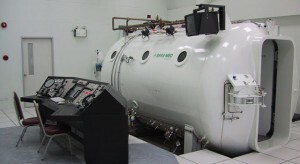 Interested in learning more about the ETC Biomedical Systems Cylindrical Multiplace Hyperbaric Chamber or the other new and used hyperbaric systems that we sell? Fill out the contact form below or contact us today to speak with a knowledgeable customer service associate.